It takes a lot more than accurately re-creating a comic book character’s outfit on the big screen to make a superhero movie worth seeing. And anyone who’s seen the terrible film version of Captain America from 1990 knows it. In terms of comic book costume accuracy, it’s a ten out of ten! For having literally everything else be absolutely terrible, it’s a negative twelve-and-a-half. Needless to say, when former Marvel Studios head of visual development Charlie Wen sat down to adapt the classic Marvel Comics cosmic super team the Guardians of the Galaxy, he had a lot more on his mind than comic book accuracy. To get the right look for the right character, Wen and his team tried beginning with the right words before anything else, which informed the design process. So what process did Wen take with these relatively obscure Marvel D-listers to bring them into the mainstream? Here’s what the Guardians of the Galaxy almost looked like. That, and the fact that the Guardians themselves were pretty obscure in the public consciousness, meant that Wen was free to create Marvel’s very own Star Wars. In 1976, writer Bill Mantlo wrote a spacefaring comic book story called “The Sword in the Star,” introducing a new character drawn by Keith Giffen: Rocky Raccoon – like the Beatles song – not Rocket Raccoon – because they didn’t think they’d get sued for that? Anyway… . Armed with a gun, a cigar, and a bunch of attitude, Rocky came back six years later with a new design as Rocket Raccoon when Mantlo was writing The Incredible Hulk. The character would come back again and again over the years, never really straying from the core characteristics Mantlo had given him at the start. These attributes played a huge role in Wen’s design work for Rocket. Unlike Rocket, Groot evolved significantly from his comics debut. In 1960, on the cover of Tales to Astonish #13, a giant tree monster named “Groot from Planet X” shows up on a busy city street on Earth, daring someone to fight him. He returned as a monster 11 years later to fight the Hulk, and finally started resembling our peaceful, heroic Groot when he appeared in 2006’s Nick Fury’s Howling Commandos and 2007’s Annihilation Conquest. 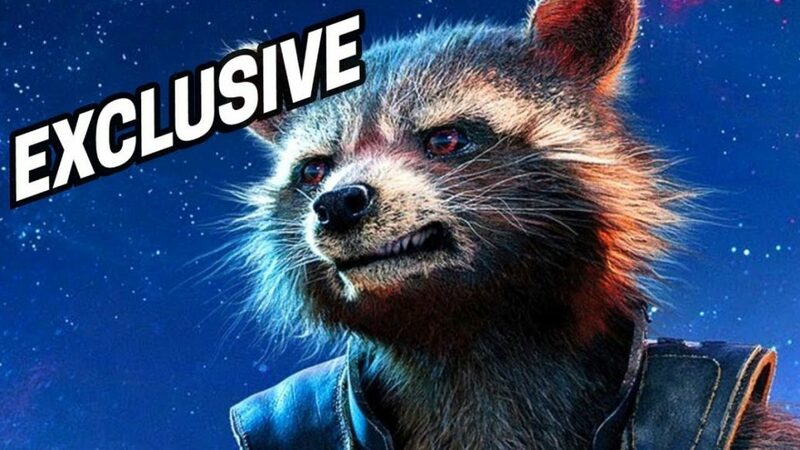 In the latter series, he seemed to develop the friendship with Rocket Raccoon that became so central to the 2014 film. In fact, according to Wen, Groot and Rocket were two of the biggest question marks going into the film’s pre-production period. Keep watching the video to see what the Guardians of the Galaxy almost looked like!